Once the budget is determined for your wedding it is time to start planning! Of course it sounds like fun but, the devil is in the details and when it comes to whittling down a guest list – be prepared to feel some stress. If you are planning a large wedding with a limitless budget and an over-sized guest list this can be even harder since everyone you have ever known (even peripherally) will expect to be invited. Look at all of the media attention devoted to the supposed ‘snub’ of the Obamas at the recent royal nuptials in April. So how does one go about keeping their guest list under control without offending ? 1) Keeping your budget in mind, decide how many guests you will be able to invite. 2) Make a list of everyone you would like to invite and see how close you are to that number. Remember that roughly 25% will be unable to attend so factor that into the equation. There are several ‘guest list’ templates available for computer use. 3) To begin eliminating immediately, use the one year rule for friends and extended family. If you have not seem or spoken to them in over a year, you are not obligated to invite them to your wedding. 4) Eliminate children. Address the invitation to the parents only and spell out very clearly that it is an adults only reception. 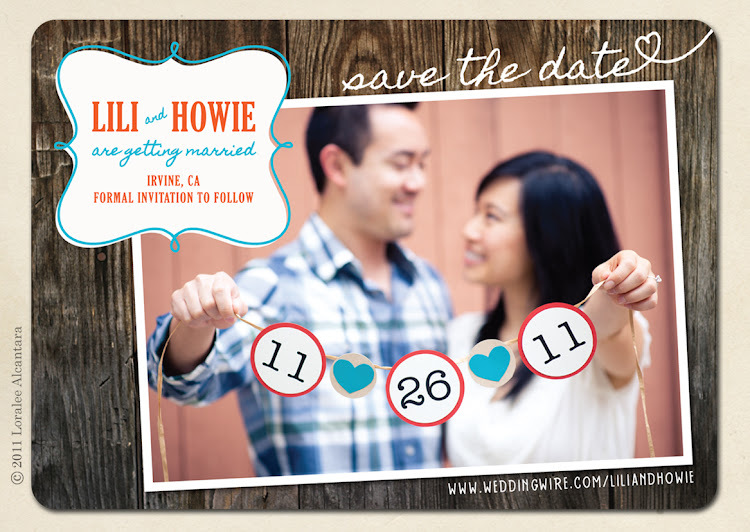 You can do this in many ways but the easiest is through the save the date cards. 5) Ask both sets of parents to help you reduce your list. 6) You do not have to invite co-workers unless you have a close friendship outside of work. Also if you invite one co-worker that you are very close to, you do not have to invite everyone. You shouldn’t have to defend your decision so if someone mentions the fact that they weren’t invited and another co-worker was, look them squarely in the eye and say “I am close friends with Sandra, of course she is invited!” If they are too thick to understand your implication, just walk away. 7) Unless you are of some political or social stature, every one of your parents’ friends and co-workers do not have to be invited. Keep the ones with whom you have a special relationship and move on. Of course it is good manners to allow the parents to invite a few guests. 8) You do not have to reciprocate. If you were invited to some one’s wedding fifteen years ago, this does not mean you have to invite them to your wedding. Things change and they know this as well as you do. 9) Don’t worry about inviting the same amount of people from both sides of the family. If he is from a large family and you are an only child there will be a difference in numbers. At the end of the process, you should have a guest list that is within your budget and everyone is satisfied. Use this list as a master list and make changes as they occur. Never invite anyone to a shower or send ‘save the date’ cards unless they are invited to the actual wedding. Remember, an open dialogue will solve everything and you do not have to feel bad if you cannot invite every single one of your ‘facebook friends’. The most important people are your immediate family and closest friends and the two of you.